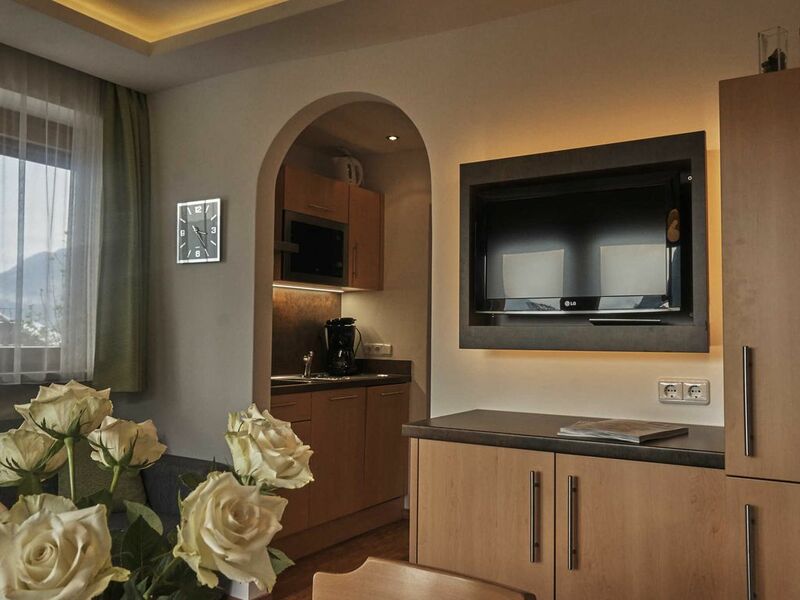 You are well accommodated in our apartment "Reith" with one bedroom incl. Bed linen, shower / toilet, towels, hair dryer, fully equipped kitchen incl. Crockery, dishwasher, ceramic hob, microwave, tea towels, coffee machine, kettle, etc., living room with flat screen TV, safe, 2 balconies with stunning views of the mountains. A sleeping accommodation for the third person is in the living room (couch).